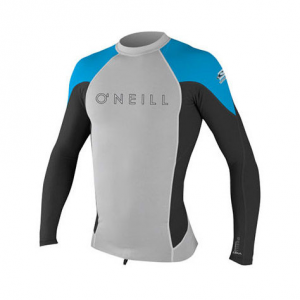 The O'Neill Hyperfreak Neo-Skins Crew combines core protection and arm flexibility by using 0.5 neoprene in the chest and nylon spandex in the arms. 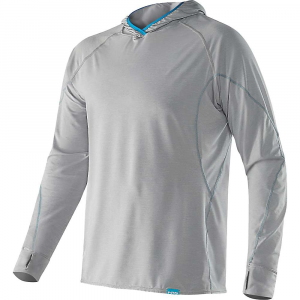 This construction ensures protection against wind chill, UV exposure, and skin irritation, while allowing range of motion in the arms. . Hydrophobic Technobutter material is more buttery than ever; 20% lighter with 30% less water absorption. 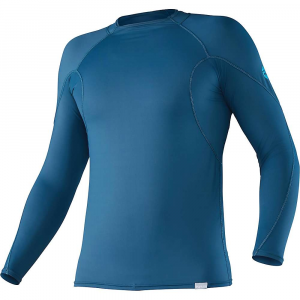 0.5 neoprene fabric in the chest for protection against wind chill, harmful UV rays, and chafing. Stretch nylon in the arms for wider range of motion. Crew neck and long raglan sleeves. 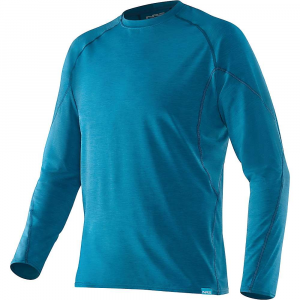 UPF 50+ for maximum sun protection. Board short connector allows you to lace board short laces through a small loop at the lower part of the top to keep the top in place. Flatlock construction with breathable, overlapping flat-stitched seams offers chafe-free comfort and superb durability for warmer conditions. Seamless paddle zones: ergonomic under-sleeve panel allows for unrestricted motion and eliminates rash. 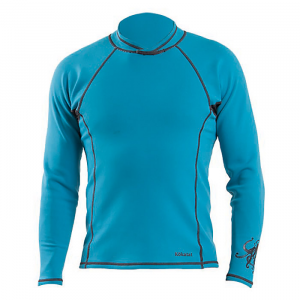 Protects the ribs from chafing and wax irritation caused by paddling. Length: 26 in. ; straight hemline. ONeill logo graphics. Hand wash cold; drip dry in shade. 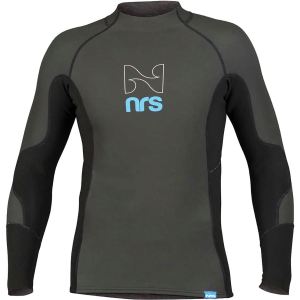 The O'Neill Hyperfreak 0.5mm Neo/Skins L/S Crew is not available from the stores we monitor. It was last seen August 2, 2018	at EMS.